The Great Wall never ceases to awe. But recent archeology is showing that the process that it emerged in was even longer than most people have thought. We’ll explore some of its most ancient foundations, and discover that they’re still alive in Chinese culture. 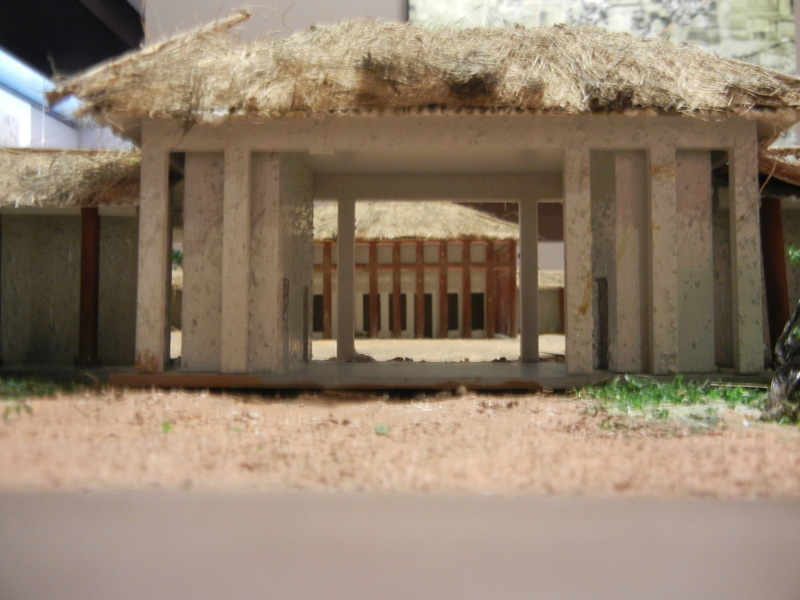 Societies way back in the Longshan period (3000-2000 BCE) constructed several cities with rammed-earth walls. 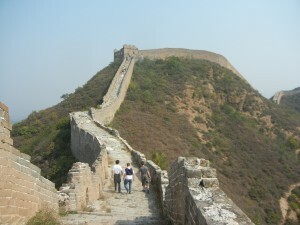 Chinese used rammed-earth, or hangtu, as a way of building city walls and foundations for palaces. People piled earth between wooden slats that they erected, and pounded them firm with the ends of poles. This was very hard and labor-intensive work, but it created strong foundations and defensive systems. Many major constructions throughout the Shang and Western Zhou dynasties were also built with this technique, rather than with stones or bricks. Foundations of palaces like the one at Erlitou (above–early Shang, 16th century BCE–a replica in Beijing’s National Museum. You’re looking through its gate towards the main hall, where the ruler presided) were pounded level. As yesterday’s post on the Longshan period explains, people then were building larger settlements, which underwent increasing class differences. Many were organizing themselves within rammed-earth walls, and around palaces with rammed-earth foundations. This was already an old tradition then–people in Neolothic villages leveled the floors of their homes with it. 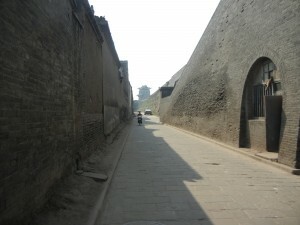 The later Shang Dynasty built a hangtu wall around a city which is now in modern Zhengzhou that’s 7 km in circumference. 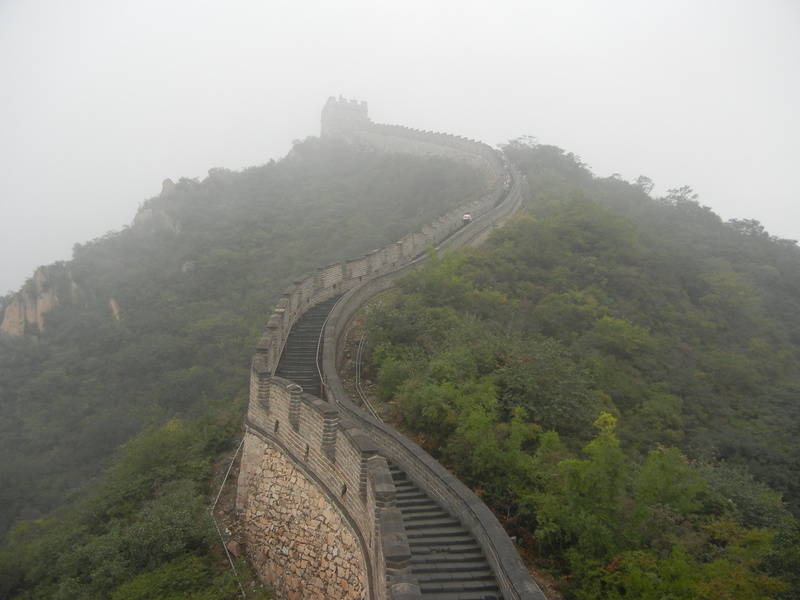 Much of the Great Wall that Qin Shihuang (the creator of the terra-cotta army in Xi’an) built was also hangtu. 1. The central importance of the walled community and the great palace. Since Longshan times, many people in China have seen the protected community as the source of order and security. Ideas of the community as a totality were strengthened by royal rituals of Shang and Zhou Dynasty emperors, and by Qin Shihuang when he ascended Mount Tai. Christians, Muslims and Indians have often stressed transcendence–they have aspired for a spiritual existence that leaves the earthly surroundings behind. The spires of Gothic cathedrals express this desire. But Chinese have often seen Heaven and Earth as inseparable and tightly interwoven. The cong vessels which Longshan cultures fashioned embody this idea. This view of the cosmos might have some roots in these ancient settlement patterns–people looked within their walled settlements for well-being rather than beyond them. 2. Political centralization. The government directing huge construction projects is a current that runs from Longshan times, through the Shang Dynasty, through Qin Shihuang’s massive works, to modern skyscrapers and freeways in today’s cities. Some Westerners find the forced re-settlements inhumane, but the unified community, rather than the individual, is the locus of truth. 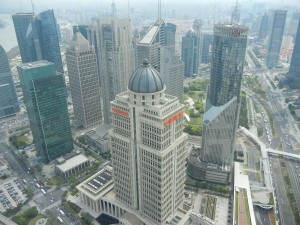 China is again marshaling a lot of resources to build awesome things. 3. Collective experience. Since remote antiquity, working shoulder-to-shoulder with the entire community has been a central experience. I think one of the reasons why many Chinese work very hard is the feeling that their family, peers and ancestors are always there, watching them. 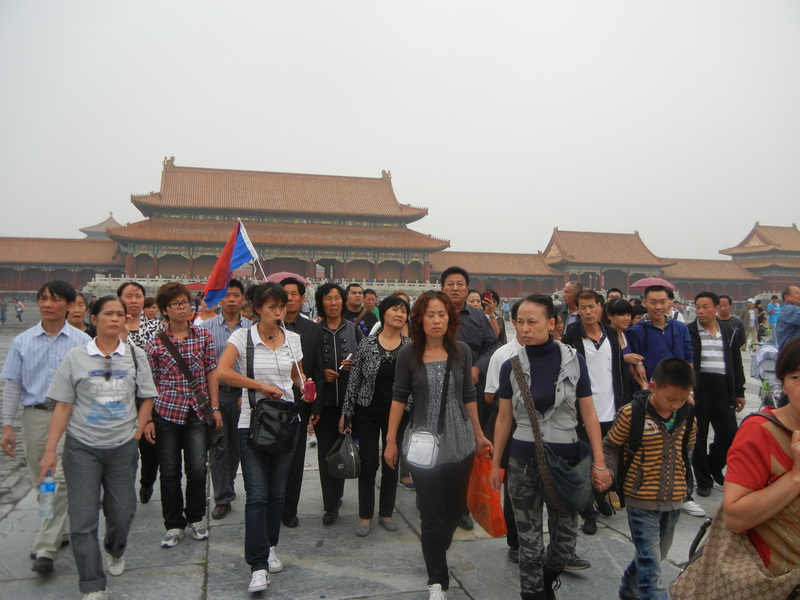 But most Chinese take vacations in groups too, as these visitors in the Forbidden City are doing. The orientation to the group has a lot of historical depth. As a native of California with Irish blood, I love my freedom. 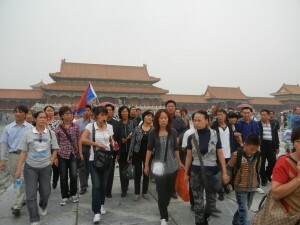 But I deeply respect and enjoy the depth and magnitude of Chinese culture. It’s on the rise again, and I’m looking forward to going back at the end of this month. But for a cool comparison of cultures, find out about my hike to Heaven in the Middle East. 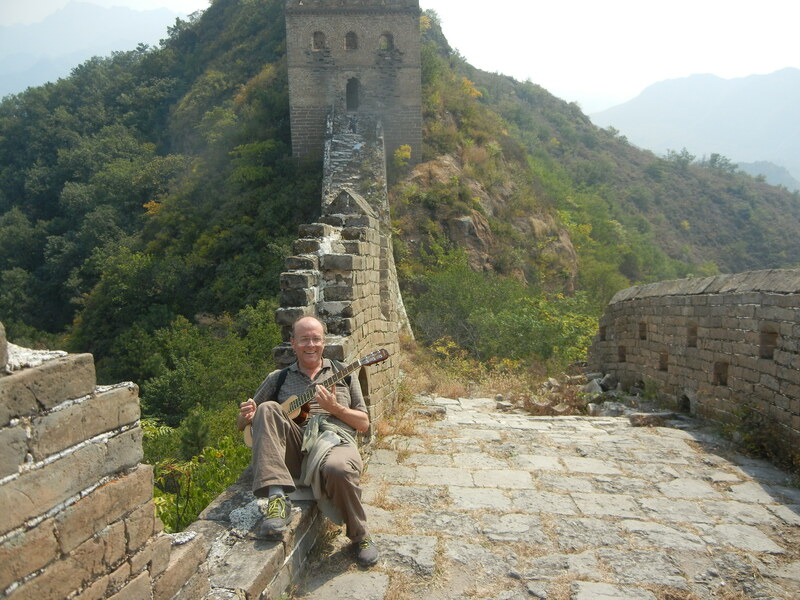 You can also keep hanging out at the Great Wall and learn more about its deepest foundations.